I&K Hair Doughnuts create the most perfect and voluminous bun. 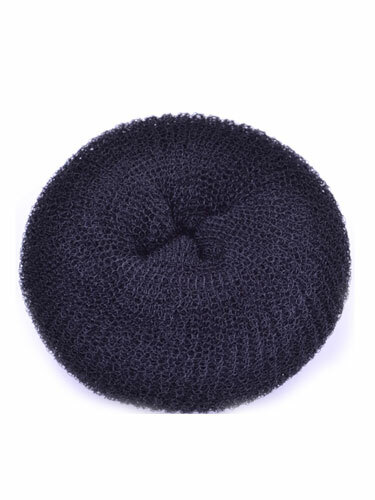 Made from a lightweight nylon mesh, the hair doughnut is quick and easy to use and helps hair appear fuller and perfectly styled. Available in L, XL and XXL you can achieve any sized bun. To use, simply style your hair into a ponytail at the height you would like the bun. Put the pony tail through the doughnut and push the doughnut to the base of the ponytail. Section the ponytail over the doughnut and twist sections around tucking the hair underneath until the doughnut is completely covered and no hair is left hanging. Secure with bobby pins or hair grips of your preference. You can then make the doughnut as neat or as messy as you desire!